Item # 317504 Stash Points: 3,195 (?) This is the number of points you get in The Zumiez Stash for purchasing this item. Stash points are redeemable for exclusive rewards only available to Zumiez Stash members. To redeem your points check out the rewards catalog on thestash.zumiez.com. 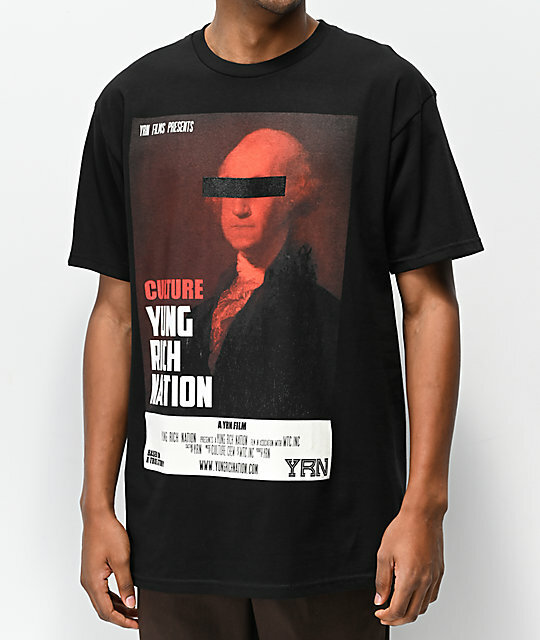 Add to your collection of graphic tees with the latest from Yung Rich Nation and rock their new Culture Film Black T-Shirt. This black and red garment features a large faux movie poster that displays George Washington with censored eyes and an array of logo script. 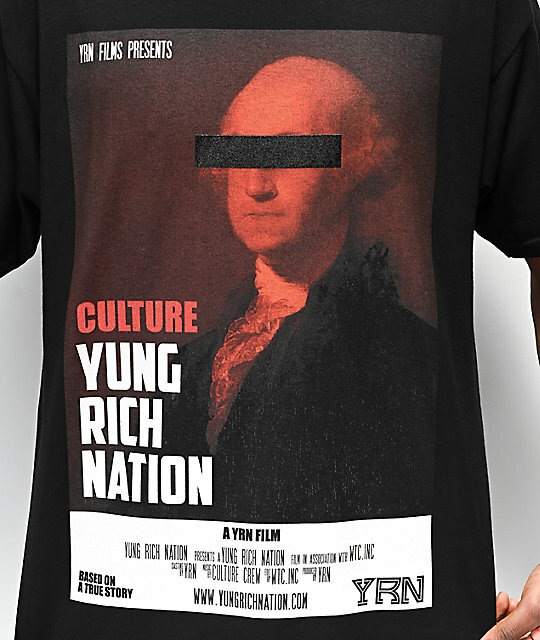 Culture Film Black T-Shirt from Yung Rich Nation.